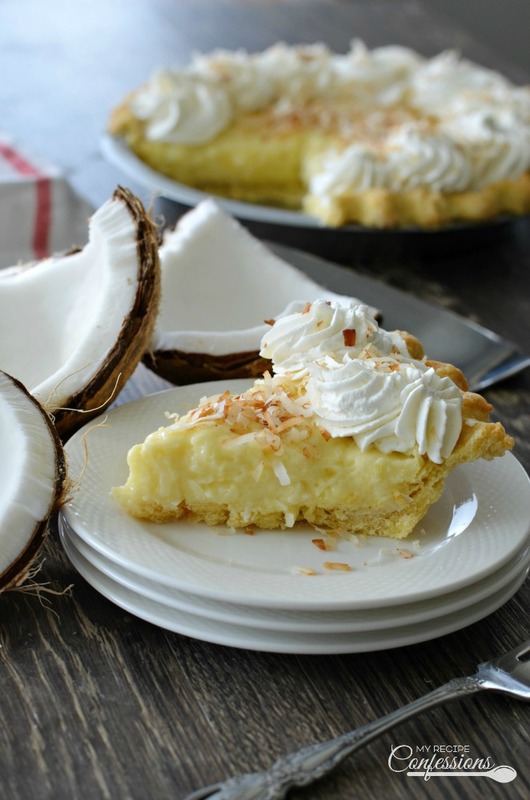 Homemade Coconut Cream Pie is one of the best recipes out there for pie! The made from scratch coconut custard is rich and creamy with sweetened coconut flakes sprinkled throughout. Don’t let the word “homemade” scare you. This recipe is so simple and easy that anybody can make it! 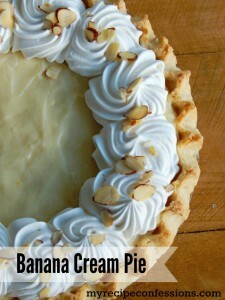 Homemade Coconut Cream Pie is one of my favorite cream pies. When I bake a pie, I have certain requirements that the pie has to meet if I am going to keep the recipe around. Finally after many many failed attempts, I found one that meets all of my requirements. I want my coconut cream pie to have a silky smooth coconut custard with sweet coconut flakes throughout. 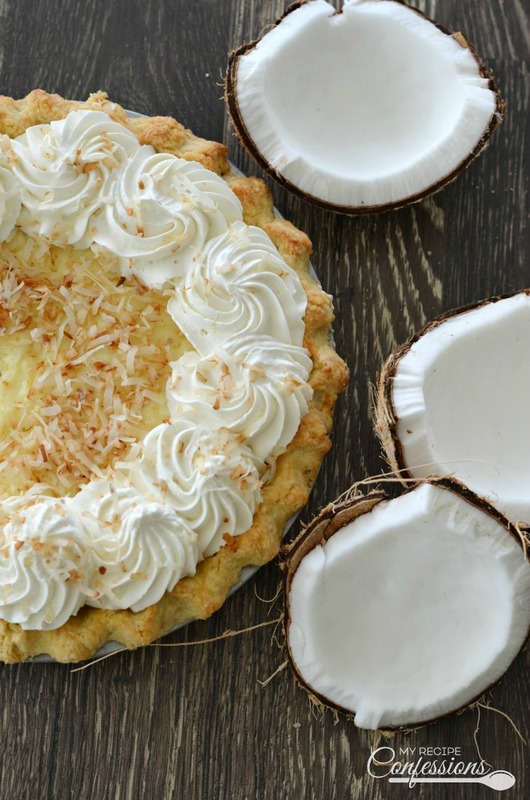 We can’t have the coconut overpowering the rest of the pie now can we? So it needs to have the perfect balance of coconut and cream. The cream on top needs to be sweet, but not so sweet you get an instant sugar headache with the first bite. I like it to be thick and creamy with a hint of vanilla. Of course the crust needs to be a nice compliment to the pie filling and not take over the show. It can’t be so thick that it overpowers the rest of the pie. A rich, buttery, flaky pie crust is the only way I like it. I know this is quite a list. After all this time, I have finally come up with the perfect combination. Don’t take my word for it, try this Homemade Coconut Cream Pie recipe out for yourself! 1. Have baked 9-inch pie crust shell ready. 2. In a large saucepan, scald the milk. Combine the sugar, flour, and salt in a bowl and then gradually whisk the dry mix into the scalded milk. 3. Over medium heat, stirring constantly, cook until thickened. Cook for two minutes longer. Cover and stir occasionally. 4. Slightly beat the 3 egg yolks in a small bowl. Stir in 3 tablespoons of the hot milk mixture into beaten yolks. When thoroughly combined, stir the yolk mixture into hot milk mixture. 5. Cook for one minute longer, stirring constantly. 6. Remove from heat and blend in the butter, coconut extract, and ½ cup of coconut flakes. Place a strip of plastic wrap directly on top of the custard and let sit until lukewarm. 7. Add the coconut custard to the cooled pie crust. Place the strip of plastic wrap directly on top of the custard so it doesn’t form a skin on the top. 18. Once the pie is completely cool, make the whipped cream and the toasted coconut flakes. Spread the whipped cream over the pie and sprinkle the toasted coconut flakes over the top. Refrigerate the pie until ready to serve. Pour the heavy cream, granulated sugar, and vanilla extract in a medium bowl. With electric mixer, whip until it forms stiff peaks. Place the coconut flakes in medium sized skillet and stir constantly over low heat. Once the coconut starts to turn a light golden brown, take the skillet off the heat and transfer the toasted coconut flakes to a small bowl until completely cool. 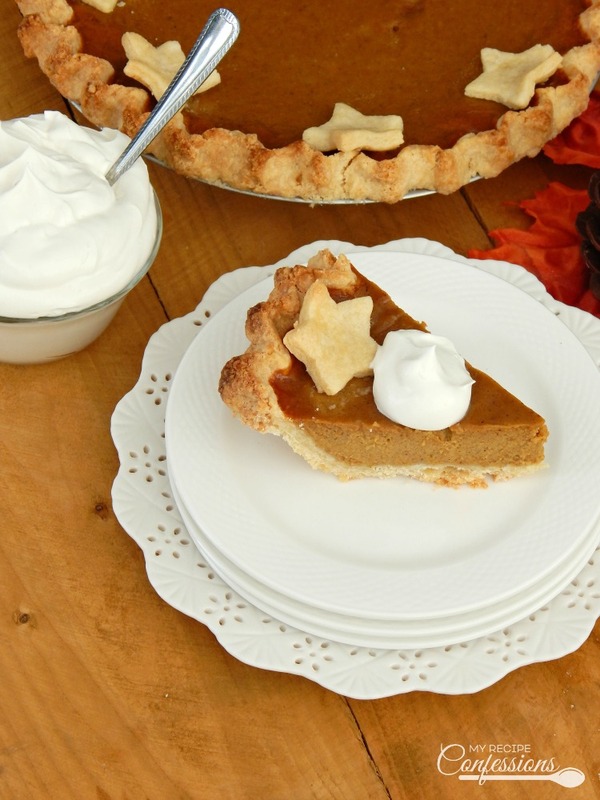 This recipe was originally posted on November 13, 2013. 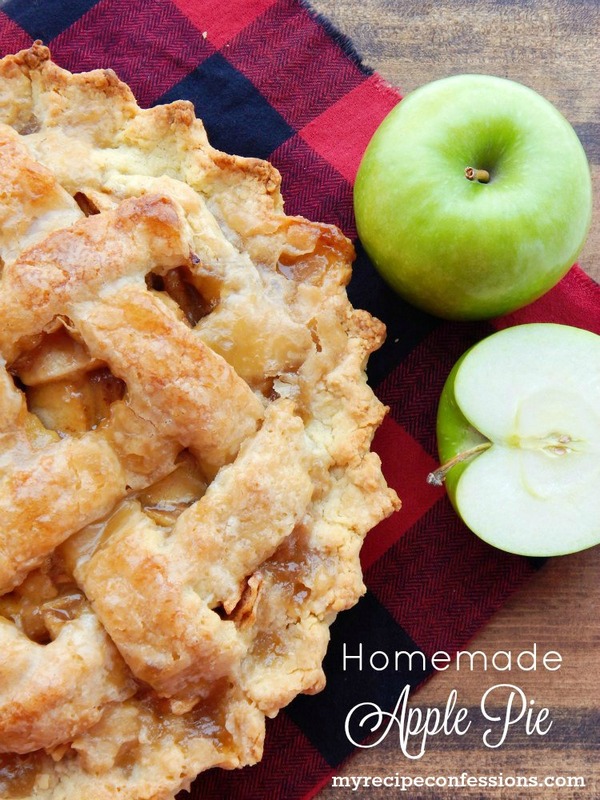 Here are a few other pie recipes you should try. Thanks a bunch. Made this pie tonight and it is delicious. I made extra filling as well, just to eat as a pudding. Even my husband (who usually despises all things coconut) said it really wasn’t as bad as he remembered it. I am so happy you enjoyed it! I love the custard in this recipe. I have used it as a filling in eclairs and other pastries. I hope your Thanksgiving is the best yet! I’m confused as to the amount of sugar to put into the whipped cream? I am so sorry, that completely slipped by me. It is 1/4 c. of granulated sugar and 1 tsp. of vanilla extract. I just updated the recipe. Thanks for bringing it to my attention! You are so cute! I am so happy that I was able to help you out. Please let me know if you have any questions. Have a Happy Thanksgiving! Is it okay to use 2% instead of whole milk? Yes you can substitute 2% milk in this recipe. You really can play around with the ingredients and customize it to fit your families taste. You really can’t go wrong with this recipe. 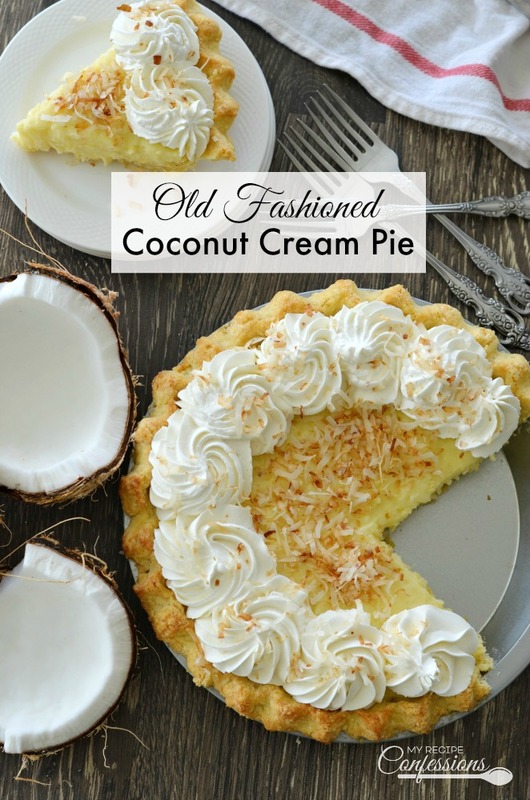 Ooh… coconut cream is also my favorite cream pie and my hubby loves anything with coconut involved! This looks divine, and honestly easier than I’d expected! 🙂 Pinning- thanks Carrie! This coconut cream pie really is simple to make. Every time I make it, it doesn’t last very long because my family eats it all as soon as it is finished. Thanks for stopping by! I need to learn to make pie. I have just about every other sweet treat down but I only have a couple of pies that I know are worth making. This looks yummy!! You can do it! Just remember to keep it cold and not to over mix it. Sometimes it takes a few times of trial and error before you get it right. Believe me, I have tried over and over again. Don’t give up!